The other day I blogged a rapper out of Barbados who goes by GQ. His record Get it On is a crazy club banger. I stayed clear of mentioning he is Rihanna's big little brother (Rorrey) just because I wanted yall to really hear him as just a rapper. From the responses I got from friends who checked him out on the site..they thought he was dope. Well, they are right. Finally after much preparation, he's released a brand new mixtape - In My Mind and yall...it goes! GQ is a rapper to mess with. Truly talented. He's spitting bars over a few of my favorite tracks including Jay Z's Hater, Drake's No Lie and other jams. The production of this mixtape is crazy & this dude is really coming for some of your favorite rappers as far as actual skill is concerned. Safe to say these Fenty kids are trying to take over the music world. Wait until that little cutie Rajad comes up. From what Rih says he's a little smarty pants so he'll probably be like the engineer of some dope recording software. Crazy. 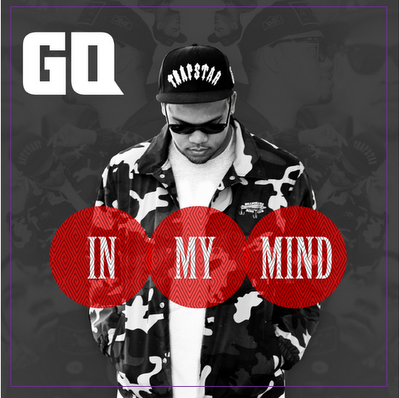 Download In My Mind HERE! Follow GQ on twitter! Good dude! This mixtape is hot! He really is. First I was like this dude just Rihanna brother but I listened and he really got bars.